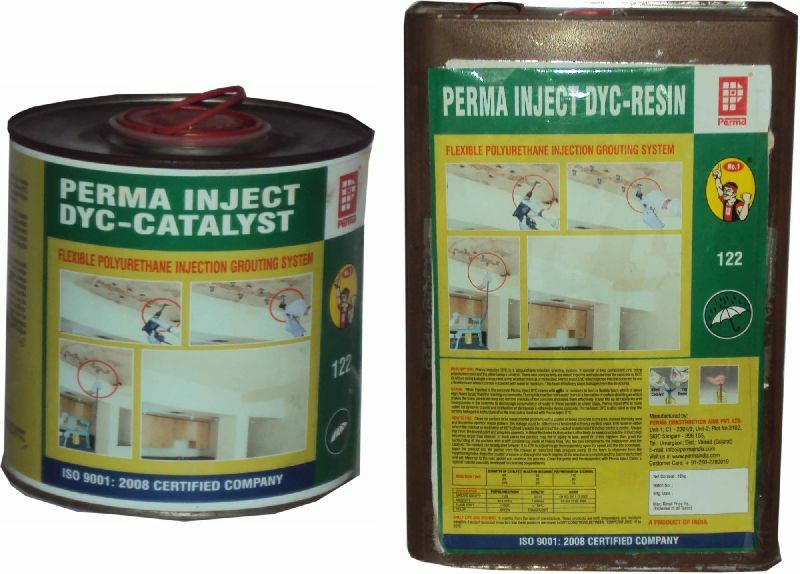 Perma Inject Dyc Resin-Catalyst is a polyurethane injection grouting system. It consist of two component one being pre polymer resin and the other being a catalyst These two components are mixed together and injected into the concrete or Ree structure using a single component pump whether manual or motorized. Perma Inject Dye when injected into the concrete forms a flexible foam when it comes in contact with water or moisture. This foam effectively stops leakages from the structures.